For the collectors who have been anticipating the arrival of the 2016 Presidential $1 Coin Uncirculated Set, today is the day. 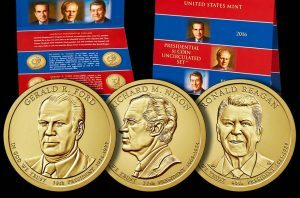 Available for $14.95, it’s the last U.S. Mint set with uncirculated coins wholly dedicated to United States presidents. Earlier today, March 8, the U.S. Mint started selling the 38th Presidential $1 Coin. This release commemorates Gerald Ford who served as President of the United States from 1974 to 1977. Product options include rolls, bags and boxes of the dollars in circulating quality. 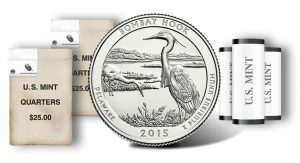 At noon Eastern Time today, Sept. 30, the United States Mint begins accepting orders for rolls and bags of America the Beautiful Quarters commemorating Bombay Hook National Wildlife Refuge in Delaware. 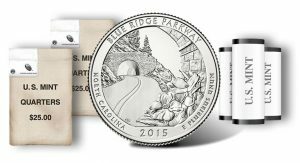 This quarter is the fourth of five for 2015 and the 29th overall in the series. Earlier today, Aug. 18, the United States Mint released the last of four 2015-dated Presidential dollars. 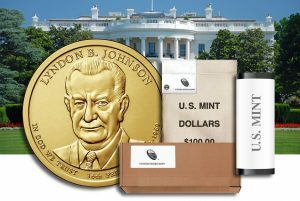 This newest coin honors Lyndon B. Johnson, the 36th President of the United States who served from 1963 to 1969. Product options available include rolls, bags and boxes of the dollars. 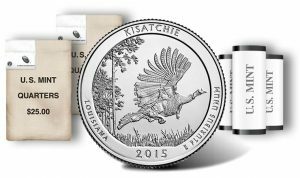 Today, June 18, the United States Mint released the third of four 2015 Presidential dollars. Honoring John Fitzgerald Kennedy, the 35th President of the United States who served from 1961 to 1963, the dollars are available in rolls, bags and boxes at prices ranging from $32.95 to $275.95. Today, April 13, the U.S. Mint released the second of four 2015 Presidential dollars. 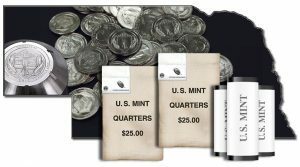 Honoring Dwight D. Eisenhower, the 34th President of the United States who served from 1953 to 1961, available product options include rolls, bags and boxes of the coins in circulating quality. Today, Feb. 5, the U.S. Mint released the first of the 2015 Presidential $1 Coins. Honoring Harry S. Truman, the 33rd President of the United States who served from 1945 to 1953, the coin is now available in rolls, bags and boxes at prices ranging from $32.95 to $275.95.